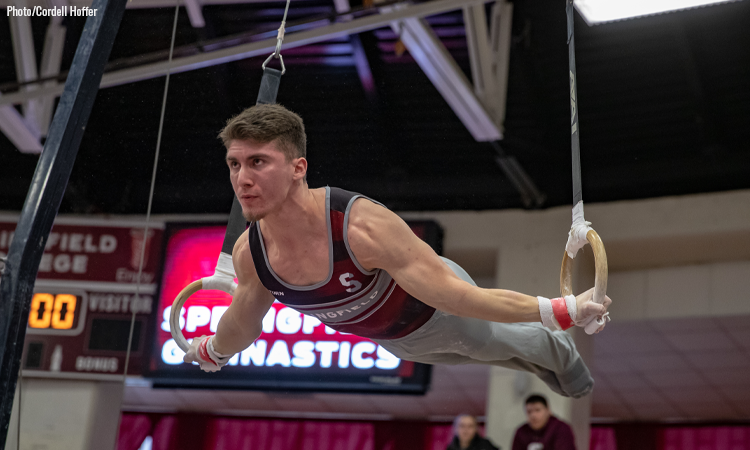 The USAG Collegiate National Championships highlighted this weekend of men’s gymnastics, with one team winning its 13th-straight title and another earning its first in over a decade. A quartet of other teams also ended their regular seasons with dual meets in their last tune-ups before conference championships rev up in just a few days. 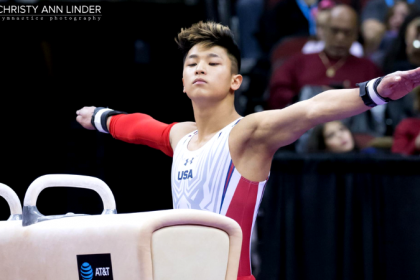 Watts’ performance in the team and all around finals of the USAG Men’s Collegiate National Championships was completely dominant. His all around total was the highest of both the collegiate and varsity divisions, and amongst the collegiate field on Friday he had the highest score on five of the six events. Arizona State had the leader it needed in Watts and got the national title it wanted too. In the last two rotations of their meet against Michigan, the Flames set new season highs on parallel bars and high bar. With the UIC athletics department cutting the program, it was a great finish to the final NCAA regular season for the Flames. The Big Storyline: Stanford completed the seven-meet sweep of California this season behind freshman Brody Malone’s breakout performance. 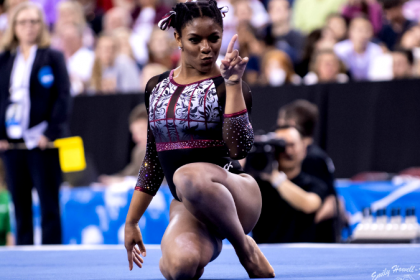 Malone won four events and became only the second gymnast in the NCAA this season to break 85.000 in the all around. The Cardinal were not able to sweep all the event titles in this edition of the rivalry though, with California’s Aaron Mah grabbing a share of the floor event title for the Golden Bear’s only win on the night. Implications: Both teams will stay ranked the same next week and will be seeded second (Stanford) and third (California) heading into the MPSF conference championship. 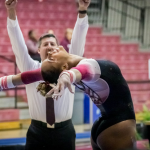 Records: Stanford posted a 71.950 on parallel bars to set a new season and NCAA high on the event. The Big Storyline: Big Ten regular season co-champion Michigan had no problem defeating visiting UIC on Saturday and solidified its top seed for next weekend’s Big Ten championship meet. The Wolverines were led by sophomore Cameron Bock, who won a pair of event titles while also taking the all around title. This meet was senior day for Michigan, and seniors Emyre Cole, Marty Strech and Matt Whitaker each capped off their Ann Arbor careers with event titles. Xan Weaver led UIC with a third place finish in the all around and a fifth place finish on parallel bars where Nick Smiley earned fourth place and was the Flames’ highest event finisher. Implications: Michigan will enter the postseason as the highest-ranked Big Ten team while UIC will finish its final NCAA regular season ranked 18th and fifth amongst ECAC teams. Records: Whitaker’s parallel bars score is a new career high and Strech’s winning rings total is a new season high and his highest score on the event since the 2017 season. The Big Storyline: In the season’s first championship meet, Navy and Arizona State had no problems outpacing the fields in their respective divisions and claimed USAG Men’s Collegiate National Championship team titles. The Midshipmen’s title was the first for Navy since 2008 while Arizona State notched its 21st USAG team title, thanks largely to Kiwan Watts’ meet-leading all around score that earned him the collegiate division all around title. Navy’s dominance continued beyond the team final, with Ryan McVay winning the varsity division all around title and Lucas Beltran and David Toussaint winning the first two event finals on Saturday. Air Force saw its bid for a 10-peat as team champion come to an end, but the Falcons didn’t leave empty handed as they won three event titles, capping off the meet with Lukas Texeira’s high bar victory. Army was the fourth and final program to win a USAG national championship this year, with Cole Casanova sticking his double front on vault to earn a victory for the Black Knights. Implications: The only movement in next week’s rankings has Arizona State sliding up to 14th and Springfield moving down to 15th. This was the final meet of the season for the six collegiate division teams. Records: Arizona State’s team title is the 13th-straight for the Sun Devils. Casanova’s score on vault ties Army’s record for the highest score on the event.